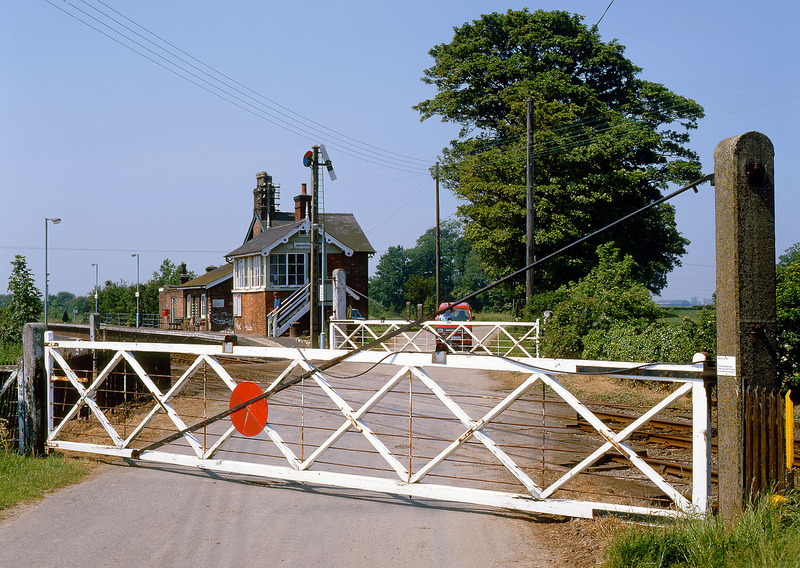 Havenhouse Level Crossing pictured on 14 June 1986. If it wasn't for the Bedford Rascal van (ironically brand new when this picture was taken), this could easily be a scene from decades earlier. Vintage wooden gates, signal box, and a Great Northern Railway somersault signal all add to the timeless atmosphere. All this has now gone, although thankfully the station building still survives.